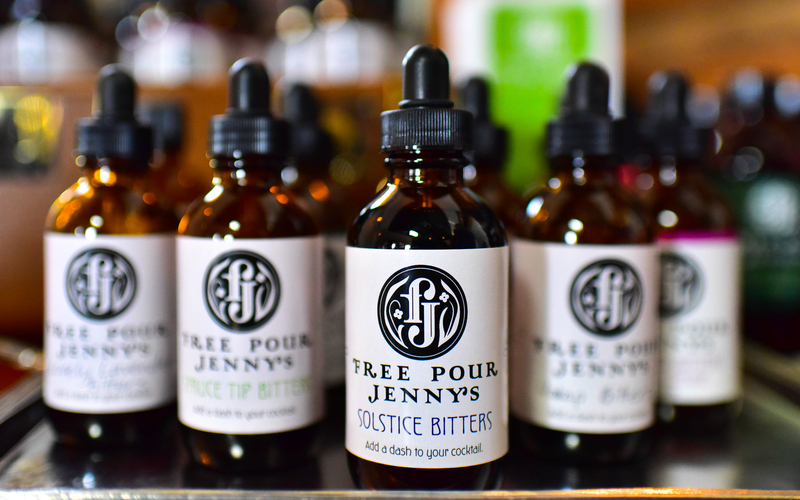 Jennifer Tyldesley launched Free Pour Jenny’s in 2016, in order to share her handcrafted cocktail bitters with you! Based in Whitehorse, YT, Free Pour Jenny’s makes 9 different bitters, some of which will only be available seasonally. Some of the ingredients from the Boreal forest of the Yukon include: low-bush cranberries, spruce tips, fireweed, and rosehips. These unique, Northern ingredients are used in all of Free Pour Jenny’s bitters!